A cancer diagnosis always causes fear. Most of us have seen relatives and friends destroyed by conventional cancer treatment. Now, thanks to a new wealth of information, you can heal cancer using natural, nontoxic substances that work. What you need is a guide to cut through the jungle of information. This book provides that guide. The author is not a medical professional but a researcher who has been refining this information for over eight years using feedback from real cancer survivors about what worked for them. At least 1,500 of the cancer patients he has counseled have recovered using his information. The self-treatments he recommends are harmless enough that you can start them immediately, and if you choose to pursue conventional cancer therapy, they will not interfere with that treatment but will help to offset most of its side effects. ©2008 Bill Henderson (P)2009 Blackstone Audio, Inc.
Clear, concise, highly usable and practical information. This is a how-to guide to to wellness. It was my first step into the vast network of resources, and it felt like I had a very good friend at my side who had already done much of the research and had culled the best, most usable and affordable options. Opens your mind to what goes on. My wife and I have listened to this many times over and have shared it with a number of people. Unfortunately we purchased this too late to help some close friends. Makes you look at what your own lifestyle and what you have done wrong all your life. It also makes you very angry that corporations (and our own government) have a hand in keeping known cures away from common folk. 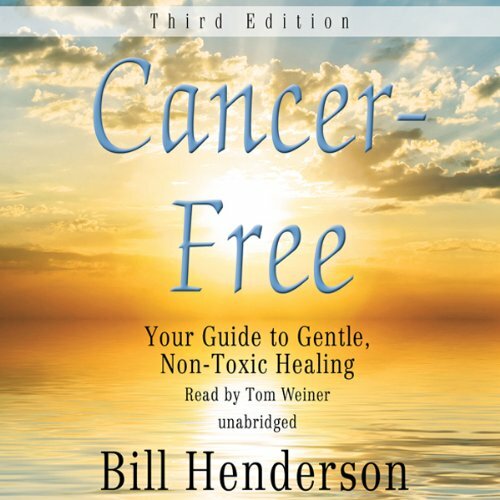 Would you consider the audio edition of Cancer-Free, Third Edition to be better than the print version? What was one of the most memorable moments of Cancer-Free, Third Edition? Practical, easy to read but well-documented. I enjoyed listening as well as reading the online version . Great Book for learning how & why some us get cancer & the "right" ways to fight it, not necessarily the way the AMA or ACS would tell you, but if u'd like to live, I recommend this book highly! The printed version that I bought was the latest printing. Point being that it contained some new input and suggestions. No. His reading style was not boring though some of the material may have been. There is no one magic bullet for everyone.